What is your favorite scale? I chose 1/1000 because most of my favorite ships are in that scale and they're large enough to include all the important detail; small enough to fit in one hand and small enough to fit many of them on the shelf. They also used to be cheap but that's not really the case anymore, I'm talking $9.99 cheap. Shark wrote: I chose 1/1000 because most of my favorite ships are in that scale and they're large enough to include all the important detail; small enough to fit in one hand and small enough to fit many of them on the shelf. They also used to be cheap but that's not really the case anymore, I'm talking $9.99 cheap. Why? Cause there are so many kits available in the scale. Fleets of ships. Literally. And that's exactly why most of my Star Trek kits are in 1:2500. Not only are there crap-tons of kits, but the styrene fodder that is available for kitbash is relatively inexpensive, meaning you can have a blast without having it cost you an arm and a leg. Heck, I've got five 2500 scale kits on my workbench right now. Four are stock kits, and one is a kitbash. But they've taking up about one square foot of space, which I can't do with kits in any other scale that I regularly build in. The four stock kits are actually all fitting on my Tamiya rotating paint stand. The annoying part is when you've got something in the Sacred Scale and it still ends up taking up most of your shelf space- got Jem-Hadar battle cruisers? I tend to favor 1/500... mainly because it is a nice round number and it makes some things easier when scratch building. If I had space, I'd favor something larger for adding more details, but my studio scale TOS Enterprise (which is 1/333 scale and 33.75 inches long) takes up a lot of room compared to my other models. Right now I have my two-thirds studio scale TOS Enterprise (based on the 33 inch model) and one-third studio scale Phase II Enterprise both at 1/500, and soon I'll have my Columbia and my one-sixth studio scale TOS Enterprise (based on the 11 foot model) rounding out a nice set of 4 ships at that scale. 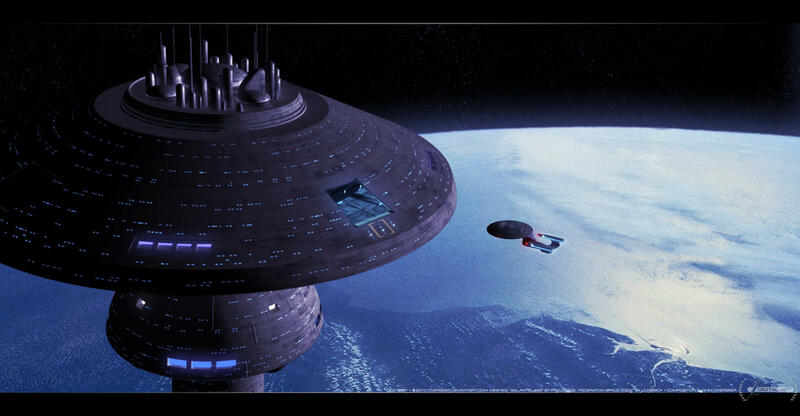 The only other large size model I'd like to have (after my studio scale TOS Enterprise) is a model of the Excelsior. Unfortunately at 1/500 scale that would make it almost 37 inches, so I reduced the plans to being about 34 inches so they'd fit on 24"x36" sheets of paper. At 34 inches that would put it at approximately 1/540 scale. I've gotten a lot of request for a 1/1000 scale version of the Phase II Enterprise as a kit, but it feels like I'd be giving up a lot of the neat details that Jefferies included in the design at that size (and I felt like I had to compromise a lot at 1/500 scale). It might be possible to do 1/1000 scale if I printed parts rather than hand make them, but I haven't looked into it. 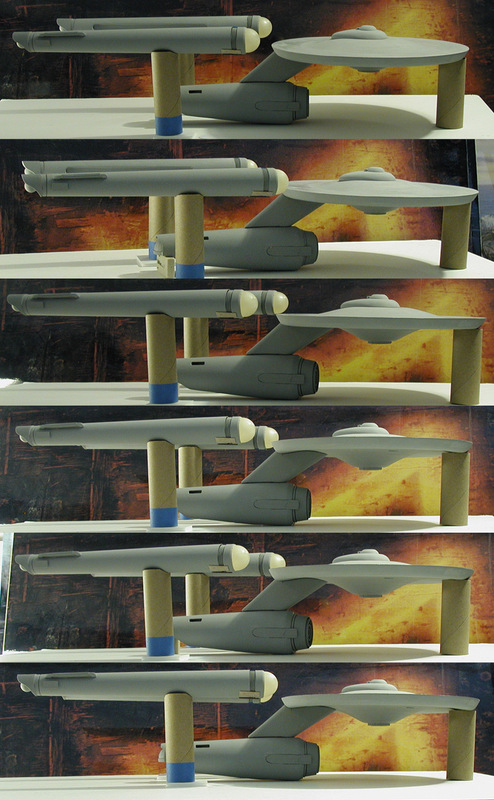 The only other project that I've put any thought into at 1/1000 scale would be the Enterprise D, which would end up being about 25 inches long. Perhaps we should have made the poll "What's your 2nd favorite scale?" Today 1/2500 has the most selection, requires little space, low cost, allows a great variety of sizes, nice round number, etc. 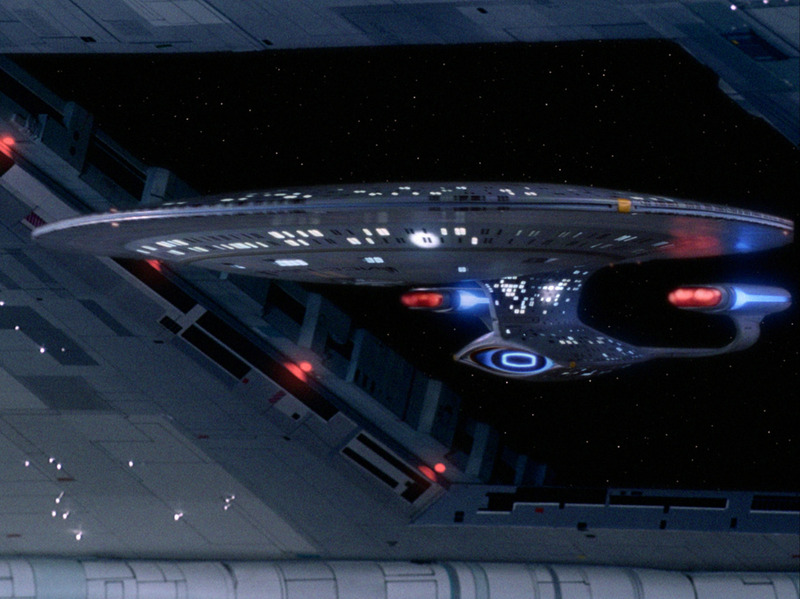 It's drawback is that realism is limited, especially for TOS/Movie scaled ships. However, technology is getting better and the quality is improving even these small scales. For #2: 1/1400 has some history plus decent selection. 1/350 is great for the TOS/Movie stuff plus smaller craft (same scale shuttles, etc. ), but does not work for TNG or non-Trek. 1/7000 is great for small space, low cost & expanded sizes, but realism is limited. I'd go with 1/1000 -- the Polar Lights kits are accurate/high quality and it allows for TNG stuff. Just out of curiosity- how big would one of those mushroom Starbases be in 2500 scale?